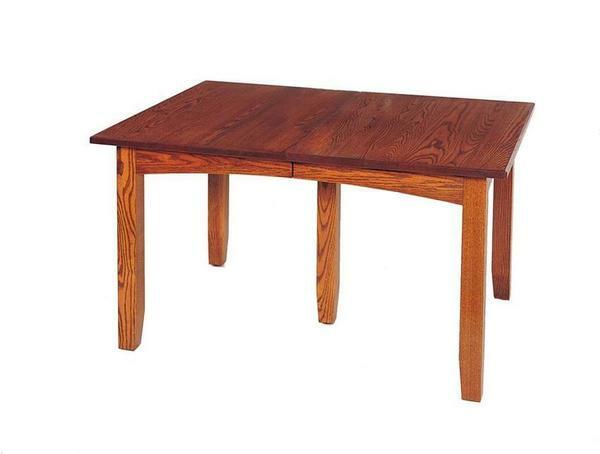 This Mission Dining Room Tables comes with a 25 year warranty! All of the pieces in our Keystone Collection are of exceptional quality that will truly enhance your living space. You will love the convenience of a self storing table that is handcrafted right here in America. This feature will allow your table to age evenly as all of its extensions will be stored in one place. Experience the difference that you will be able to see and feel in this unique piece. No corner will be cut in the making of your one-of-a-kind dining table. In order to ensure that you will be able to enjoy this piece for many generations, the Amish craftsmen who create your piece make sure that plenty of care is taken in its construction. Please do not hesitate to get in touch with us so we can answer questions that you may have. You can reach a member of our team of Amish furniture experts by dialing 866-272-6773. Thank you for shopping with DutchCrafters! *Wood Slides - Robust Precision engineered slides provide strength and ease of opening tables when adding or removing leaves.